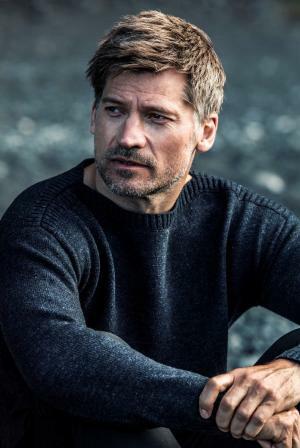 Born on the 27th July 1970, in Rudkøbing, Denmark, Nicolaj Coster-Waldau is a stage, television and film actor, perhaps best known to the world as Jamie Lannister in the critically acclaimed fantasy drama “Game of Thrones”, aired on HBO TV, and also as Horus in the action-adventure fantasy “Gods of Egypt”, among other differing appearances he has secured so far in his career. Have you ever wondered how rich Nicolaj Coster-Waldau is, as of early 2018? According to authoritative sources, it has been estimated that Nicolaj’s net worth is as high as $16 million, an amount earned through his successful career, active since the early ‘90s. Nicolaj had a tough childhood; growing up with his two older sisters and being raised mostly by his mother, Hanne Søborg Coster, a librarian, since his father, Jørgen Oscar Fritzer Waldau had problems with alcohol, and eventually passed away in 1998. Nikolaj turned to acting, and became the youngest actor to enter the Danish National School of Theatre and Contemporary Dance, where he spent four years between 1989 until 1993. His professional debut actually came in 1992, when he was chosen for the part of Laertes in the play “Hamlet”, performed at the Betty Nansen Theater. Since then, he has remained true to his love for stage acting, and appeared in a number of other plays, including “Morgen on After” (1994), “Lovestory” (1997), “Becket” (2002) and “Øjeblikket” in 2009, all of which laid the basis of his net worth. His on-screen career started in 1994, with the role of Martin in the Danish film “Nattevagten”/ “Nightwatch”, which brought him popularity in his native country. Encouraged by this success, he pursued further screen roles, and in 1997 played Jacob in the television film “Jacobs Liste”, and the same year teamed up with Simon Staho in the film “Wildside”, which Nicolaj co-wrote. Before the decade ended, Nicolaj featured in several other Danish films, including the horror “Angel of the Night” (1998), and the drama “Misery Harbour” (1999), so building a name for himself, and improving his bank balance. Following his immense success in Scandinavia, Nikolaj started seeking engagements in the US. His debut there was the role of Gary Gordon in Ridley Scott’s “Black Hawk Down”, starring Josh Hartnett, Ewan McGregor, and Tom Sizemore, but he then returned to Denmark to appear in the drama “The Bouncer” (2003), and action crime comedy “Stealing Rembrandt” the same year. Nikolaj continued to feature in film projects, such as “Wimbledon” (2004), “The Baker” (2007) and “At World’s End” in 2009, but he earned world fame in 2011, when he was chosen for the role of Jamie Lannister in HBO TV’s fantasy drama series “Game of Thrones” (2011-2017), based on the book “A Song of Ice and Fire”, written by George R. R. Martin. So far, Nikolaj has appeared in over 40 episodes of the frequently awarded TV series, which among others won a Golden Globe and several Primetime Emmy Awards, which only increased his potential net worth. According to sources, he now receives $1.1 million per episode, which has added a considerable amount to his net worth. Since he started portraying Jamie Lannister, Nicolaj’s name became more popular in Hollywood, which resulted in high-profile roles, including as Sykes in the action adventure “Oblivion” in 2013, starring Tom Cruise, Morgan Freeman and Andrea Riseborough, then the role of Mark King in the romantic comedy “The Other Woman” (2014), while in 2016 he played Horus in the fantasy adventure “Gods of Egypt”, starring next to Brenton Thwaites and Gerard Butler, and most recently he had a double role in the thriller film “Shot Caller” (2017), starring with Jon Bernthal, and Holt McCallany, all of which added further to his net worth. Regarding his personal life, Nikolaj has been married to actress and singer Nukaaka, originally from Greenland, since 1998; the couple has two children together. Nicolaj is a well-known philanthropist, having supported the Danish Red Cross since 2003, also the RED foundation, mostly through campaigns launched through “Game of Thrones” popularity, and since September 2016 he has been serving as a UNDP Goodwill Ambassador, among many other activities.